As a collaborative Artist and Educator, Schwarz often performs recitals with an educational theme. Please contact Timothy Schwarz via the contact page if you are interested in developing a program with a general or specific subject. A lecture or discussion may be an added component. Programs currently offered are listed below. Praised for their “solid technique imbued with great sensitivity” (Fanfare Magazine) the Anglo-American Duo has evolved into a renowned ensemble that regularly tours in the United States and Europe. Formed in 2009, the Anglo-American Duo specializes in music from the United States of America and Britain. 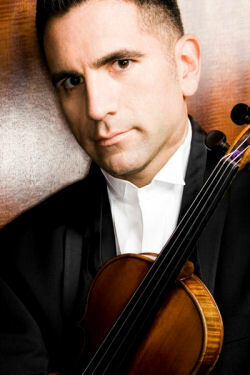 Comprised of American violinist Timothy Schwarz and British pianist Jane Beament, the Duo has given numerous European performances throughout the United Kingdom, Italy, Austria, Greece, and Hungary. American performances include the University of Delaware, Rowan University (NJ), Moravian College (PA), Kutztown University (PA), Middlesex Community College (MA), the Chamber Music Series of Greater Johnston (PA), and the Chamber Music Series in the Old Chapel (Bethlehem, PA). Radio performances include Classic Shock on Radio Libera Tutti (Italy) and Simply Grand on WVIA (USA). The Duo is considered the leading experts in the works of Dr. David Osbon, the world renowned British composer who serves as Head of Postgraduate Studies at the London College of Music. 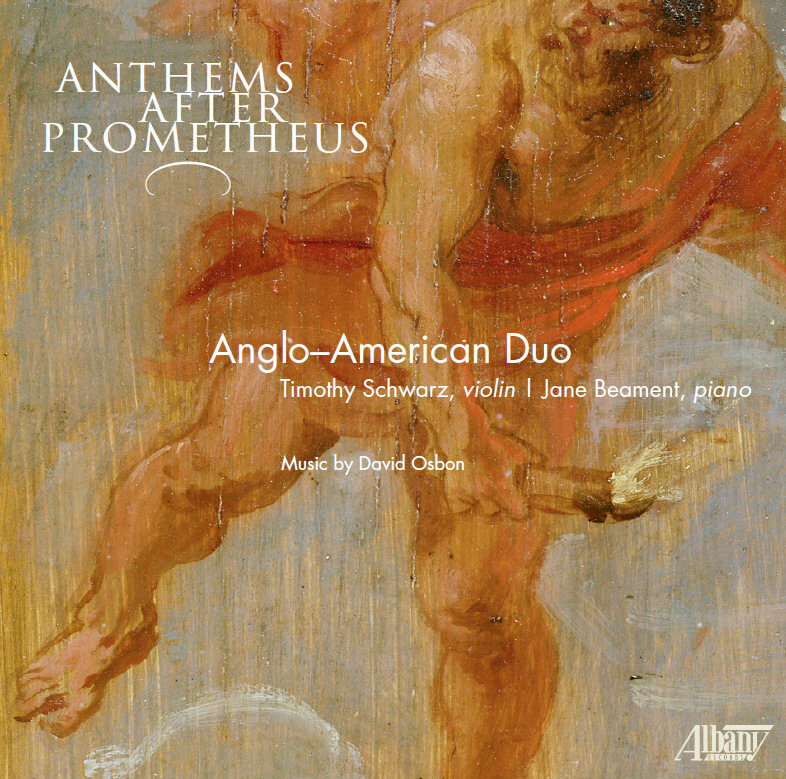 The Duo’s debut CD—Anthems After Prometheus— is devoted entirely to music by Dr. Osbon, which was released by Albany Records in 2018 to rave reviews. They have also commissioned or premiered works by Dr. Steven Samitz and Sophie Viney. In addition, the Duo has been praised for their interpretation of more traditional works by Romantic and early 20th-Century composers. Quattro Due is best known for their innovative presentation of the Bach Cello Suites and Violin Partitas. The Duo presents each of the dance movement side-by-side, violin and cello, showing the breadth of character possible within the structural limits of Baroque dance. They also perform standard violin and cello repertoire by Ravel, Kodaly and Handel-Halvorsen. "...Played with skill and musicianship..."
Winner of the Artistic Ambassador Competition, the Upper Valley Duo has performed over 500 recitals to critical acclaim in the United States and abroad. In the USA they have appeared at the Philips Collection and National Gallery of Art in Washington DC, the Dame Myra Hess Memorial Series in Chicago, and at Dartmouth College in New Hampshire. Their debut CD “An American Affair” (Marquis Classics) was hailed by the Buffalo Times-Herald as “Technique beyond reproach” and “A performance of dreamy enchantment”. After winning Gold Medal in the Artistic Ambassador Competition, the Duo performed 35 All-American recitals in 15 countries in the Middle East, North Africa and Southeast Asia. They were hailed by Ambassadors from the United States and abroad for their contribution to Peace through Music. "The Duo demonstrated a gratifyingly close collaboration." First CD recording; 2012 (Naxos). Serafin String Quartet with Charles Abramovic, piano and Eric Stomberg, bassoon. 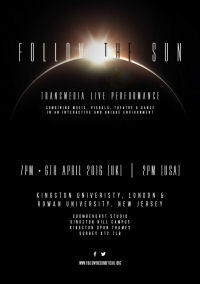 Follow the Sun is a project that centers on the Concerto for Violin and Wind Ensemble by British composer David Osbon. It will receive a world premiere in April, 2017 at Rowan University. The concerto includes interaction with multiple venues and art forms around the world. It transforms the landscape for future generations of learners and changes the culture of expectation in hard to reach communities. It combines content into a multi-platform and interactive global education project where each community devises and controls the content. It will inhabit the contemporary version of our physical realm – and trigger responses on an individual and societal level by mapping onto the socio-cultural and environmental history of all who devise and experience it. Unrestricted and equal access to/participation for all, irrespective of level, ability or environment. The project is accessible via one/many/all available platforms.